Erica Lucas grew up in Pepper Pike, Ohio. she took fifteen years of English equitation training from wonderful riding academies such as the Som School of Equitation, Blue lakes Farms, Dorchester Farms, The Hunt Club and Red Raider Farms. After many years of lessons, Erica bought a couple older race horses that were “bred in the purple” and galloped through the metroparks of Gates Mills, Chagrin Falls and Holden Arboretum in Kirtland for years of fun. 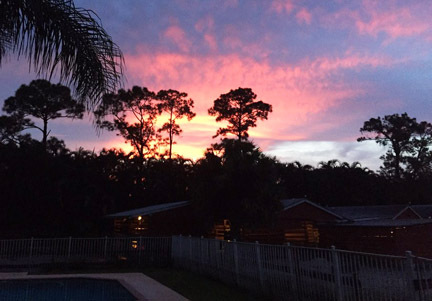 One day, Erica got tired of riding through the winter months and decided to move near her parent’s winter home in South Florida. 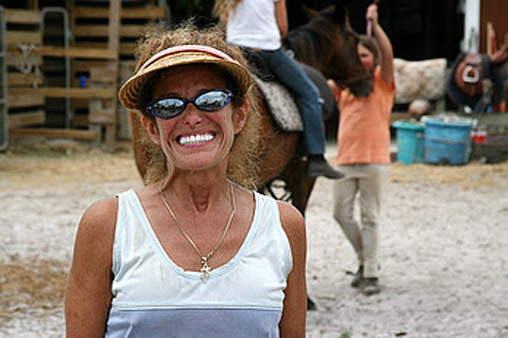 Erica bought a little horse farm in Lake Worth and brought along a couple great horses. One was a big thoroughbred gelding named “Jack” that had just been off the race track one year and the other was a nice calm young Tennessee walker named “Shine”. Two very important events changed Erica’s life. The first one was one Saturday morning when during a riding session, a nice Boynton Beach woman stopped and asked Erica if she could give her daughter some lessons. Next, erica traded her thoroughbred, Jack, to her sister for an amazing horse named “Cash the Check”. You can hear Miss Erica tell her students that Cash has won more ribbons then there are people in Texas. thus was the start of Coral Reef Riding Academy and later New Spirit Farm. 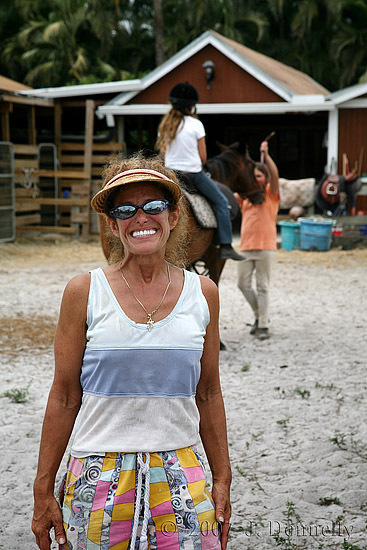 New Spirit Farm is devoted to the children of Palm Beach County. If we can keep children occupied with healthy recreational activities, we can teach children how to make the right decisions with their free time. So many kids love horses and being with horses is proven to be therapeutic. Once a child is feels the love of a horse, they will do their homework and a multitude of other tasks just to be near the horses. Coral reef Riding Academy offers riding lessons in the evenings and on weekends. There are horses that are appropriate for all age groups and levels from beginners to advanced riders. Coral Reef Riding Academy is devoted to teaching children and adults the joys of riding and caring for horses. if you are a kid, you know Coral Reef Riding Academy as “the most fun place to ride”. We do have some adults that like to have fun riding too. We are hoping to provide this wonderful opportunity to help the many children that may never otherwise experience the joy of horses.